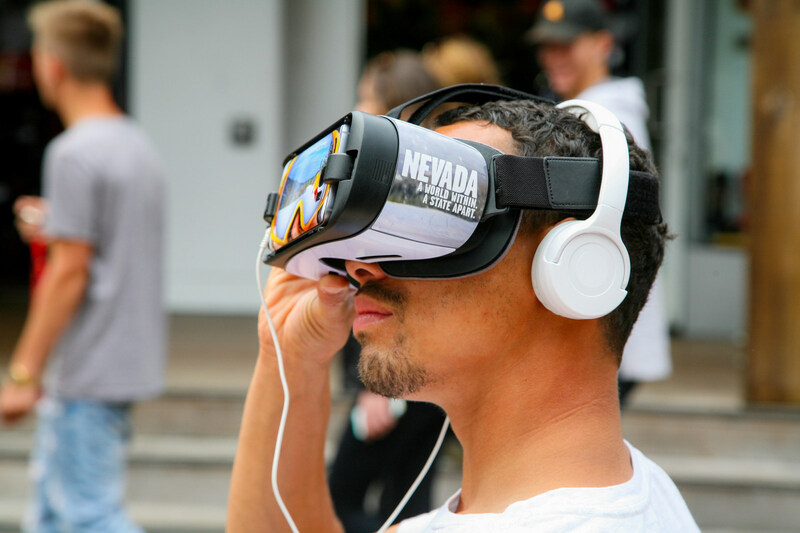 The Nevada Division of Tourism (TravelNevada.com) kicked off a mobile tour in California cities as part of its first-ever “Don’t Fence Me In” 360-degree video and experiential disruptive installation tour. 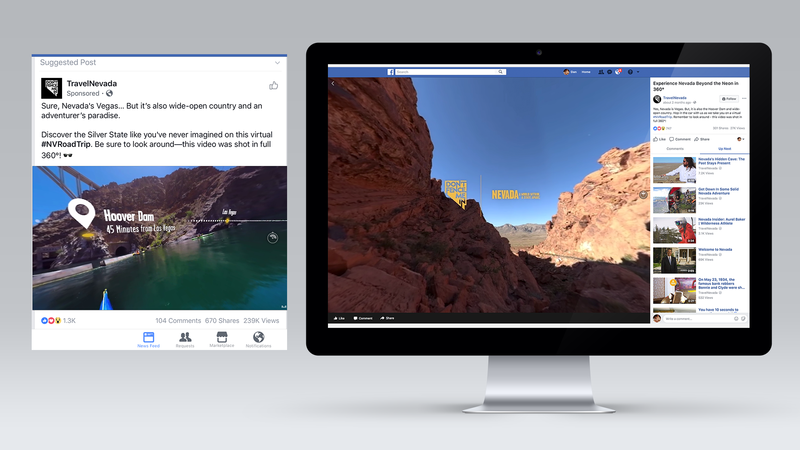 The theme of Nevada’s “Don’t Fence Me In” attitude gave people in San Francisco, Los Angeles, and San Diego areas the opportunity to experience a 360-degree virtual road trip throughout Nevada. The experience follows a group of young adventurers as they climb, kayak and drive across, around and through the state’s epic landscapes. Groove Jones worked with the agency Fahlgren Mortine on the commercial video production and Evolve Concepts on the mobile tour. Visitors to each installation saddle up to a saloon-style set put on a Nevada character-themed VR headset, and are instantly transported from their crowded metropolitan setting into awe-inspiring, wide-open locations such as Lake Mead, Valley of Fire State Park, Hoover Dam, Sand Mountain, Virginia City, and Lake Tahoe. Fun Fact: The ad agency found that Baby Boomers interact with travel content the most out of any generational group at a total rate of 20.37%. Notably more than the runner-up – Gen X’ers who interacted at an average rate of 16.07%.